The much-anticipated sequel to the critically and commercially successful, The Lego Movie, sees the heroes of Bricksburg — Emmet, Lucy, and Batman — reunite after five years to save their city from Lego Duplo, invaders from outer space who wreck things faster than they can be rebuilt. While the first movie was written and directed by Phil Lord and Christopher Miller (the brains behind the Academy Award-nominated Spider-Man: Into the Spider Verse), the sequel is directed by Mike Mitchell, who has previously helmed Shrek Ever After and Trolls among others. 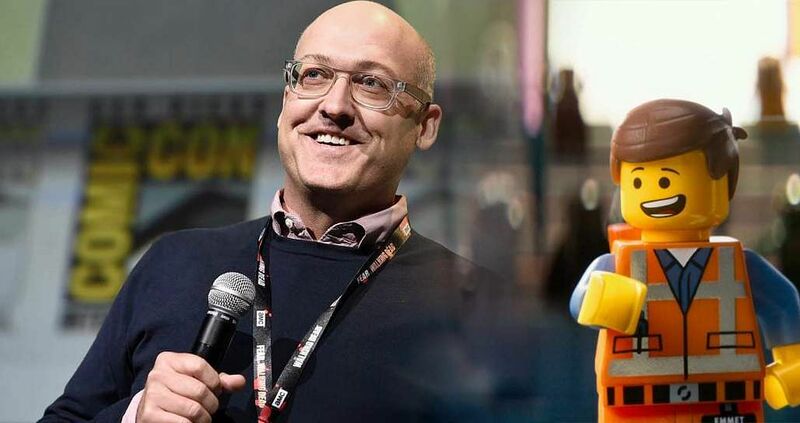 We catch up with the director before the release of the film on all things The Lego Movie 2: The Second Part. Did you watch the first film? What was it like to be a part of this franchise? I was a huge fan of the first film, and it was fascinating for me to step into this universe, which is unlike anything else we have ever seen on the big screen, and experienced. What was it like to work with an ensemble voice cast? All these actors bring so much to every role. Each of them is a double treat: They are great actors and some of the funniest people I’ve ever met. The most satisfying part of making this film was collaborating with them and seeing what they bring to their characters. There’s a lot of crazy action and unique characters, and the irreverent, out-of-bounds comedy you expect from Chris Pratt (who plays the protagonist, Emmet Brickowski) and Phil Lord (writer of The Lego Movie 2 alongside Christopher Miller) that resonates with all ages. Emmet sets off with courage and total commitment but has no real idea where he’s going. It’s everything you loved about the first film and more! What happens to Lucy and how does the Emmet-Lucy angle blossom in the sequel? As Bricksburg became a dystopian wasteland, she is locked in. This is her world now; this is where she can kick a** and take names. Lucy has always been battle-ready and now, she’s totally in her zone, battling space aliens. Emmet, on the other hand, is still skipping through town like he doesn’t see how dangerous everything is, and that’s a problem for her. She tells him to grow up, toughen up, and change with the times if he expects to survive. You have one of the funniest people, Tiffany Haddish, playing Queen Watevra Wa'Nabi. Tell us about her. Much like Tiffany Haddish herself, the Queen is full of energy and funny, and a super-creative character. That’s her theme, and the theme of the Systar System that she rules. You can change into whatever you like and as many times as you like there. Yet, it’s clear that she is also a good, capable leader and she really cares. What, according to you, should the audience expect to take away from watching The Lego Movie 2? I have two kids, and when they don’t get along, it’s the worst. When they do, it’s magical. I think we all come to understand in time that it’s so much better to play with someone or work with someone because the creativity and the fun grow exponentially, and your world expands. Working with animators and storyboard artists and designers is a much richer experience for me than locking myself in an office and storyboarding a whole film alone, because working with others is a special thing. That idea is central to our story, in terms of understanding and co-operation. No pun intended, but this is a film about… connecting.